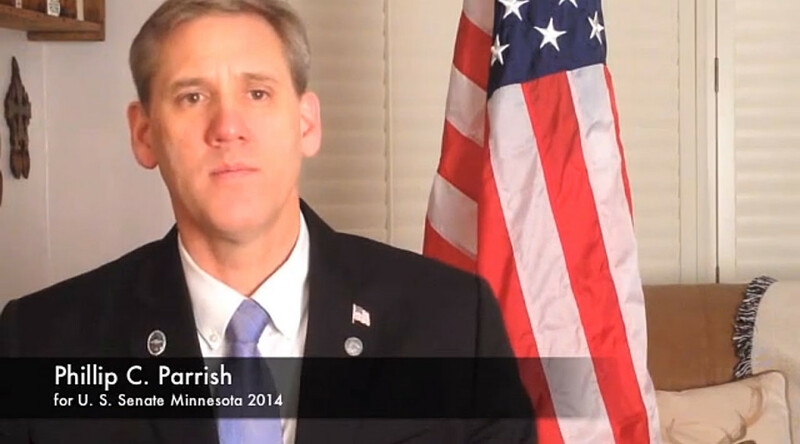 I had the honor and privilege of interviewing Phillip Parrish, a Republican candidate for US Senate in Minnesota. Below please find the questions I asked Mr. Parrish followed by his responses, as well as links to where you can connect with Mr. Parrish on social media. Please tell me a little bit about yourself. I grew up in a rural community of humble means. I became a teacher and then principal. I joined the Navy Reserve and was later commissioned as a U.S. Navy Reserve Intelligence Officer. I am married with seven children between the two of us (two adopted). I love family, the outdoors, God, my savior Jesus and our Country. I am a musician and composer and love building things. Why do you want to be a United States Senator? Why did you decide to run for Senate this year? As I have stated in several publications and countless conversations, the events of September 11, 2012 and other numerous events leading up to that day ignited a fire in my heart and I knew I had to do something, anything to attempt in every legal, moral and ethical way to confront and hold accountable those who are violating our constitution, liberties and God given freedoms. I have every respect for other candidates and their willingness to serve, but I say with a humble heart that due to my education and career, especially my time spent as a principal, farmer, enlisted military member and U.S. Navy Officer I have the experience, knowledge and willingness to serve as our U.S. Senator with a level of skill and integrity that reflects the true intent of what the office is meant to be. What do you think is the biggest issue facing your constituents? The assault on our Constitution, lawless current administration and over reach of the federal government. What is your plan to increase job opportunities for Americans? What, if anything, is your plan to replace the Affordable Care Act? What, if anything, do you find positive about the ACA as it stands now? There is nothing positive about the ACA. Why should people vote for you over Al Franken? I have the experience, knowledge and willingness to serve as our U.S. Senator with a level of skill and integrity that reflects the true intent of what the office is meant to be. Al Franken has committed treason, espionage, and subversive acts against the United Sates as he is complicit in the fraud committed in ACA, Fast and Furious, Benghazi and IRS actions, along with countless other lawless acts of the current administration. Do you consider yourself a constitutional conservative or more of a moderate? I am a constitutional conservative. What would you like your voters to know about you? I have the deepest respect for them. True heroes in our country are the American people who wake up every day living and breathing the American dream – standing for freedom, liberty and the Constitution. I want them to know that I will literally sacrifice my life for them, our country and the Constitution. What do you think about the latest developments related to the Benghazi scandal? How do you think we can make sure this sort of incident never occurs again? Benghazi is a direct result of the ill intentions of the current administration and State Department. The current investigation lead by Trey Gowdy is imperative. It must expose the ideology of current administration and State Department–an ideology routed in a willingness to believe that by coddling people who state repeatedly that they want to destroy us can be changed or they are simply misunderstood. We must expose the truth about Islam – Sharia is not a religion as we understand the word – it is a form of government. The false narrative exploiting “religious freedom” was and is a premeditated information warfare campaign intended to exploit the very nature and character of Christians and our Constitution. To support Islam, those who follow Sharia have to support the institution of another form of government which is in direct conflict with our Constitution, liberties, and God given freedom. To support Islam, those who follow Sharia have to commit treason, espionage and subversive acts against America. We as Americans and those of us who have taken an oath of office should not hesitate to use every legal means to convict all who have and do participate in the support of Islam and Sharia. We must do a better job of articulating to the public how Sharia–a political governance movement–exploits, manipulates, and coerces to deceive and cause harm. Do you support the formation of the Benghazi Select Committee? What are your thoughts on the IRS targeting of conservative groups? How do you think Congress should hold those responsible for this targeting accountable? The IRS targeting of conservative groups was a premeditated and orchestrated initiative by the current administration. It is not conspiracy; we must help others see that it really has been going on. Too many people do not want to believe that things have regressed that far; therefore, they don’t believe it is true. We must adopt the Fair Tax legislation and abolish the IRS. We must act now to enact congressional term limits to accomplish this change. Do you think our immigration system needs to be reformed or do you think the reform should consist of enforcing our current immigration laws? How would you propose that we reform our immigration system? Congress has failed in its responsibility to secure our borders. I oppose blanket amnesty for those in America illegally. I believe that enforcing current laws and cutting federal funding to “sanctuary cities” are the first two steps Congress should take in the quest to mend our broken immigration system. The United States is a republic of laws. Our republic has always embraced immigrants; and, italways will! But, at present, our immigration system is in shambles, and the rule of law that maintains our liberties and preserves our God-given rights is under assault. As an intelligence officer in the U.S. Navy Reserve, I recognize that maintaining a vigilant posture in the post-9/11 era is critical to safeguarding this Republic. Modernizing our border security efforts to include a biometric-check system and 24-hour drone surveillance remains the best deterrence for the infiltration activities of terrorist groups like Hezbollah, whose operatives have crossed the Atlantic to collude with drug Cartels in Mexico. As a lawmaker on Capitol Hill, I will work tirelessly to ensure that adequate appropriations for drone maintenance and equipment upgrades for those standing guard remain a priority. Achieving and maintaining complete control and situational awareness of the southern border is the best way to stem the tide of illegal immigration that is costing U.S. taxpayers billions of dollars in welfare and healthcare subsidies. I oppose providing federal benefits to those here illegally and I support the expedited deportation of illegal immigrants with criminal records. I support 10th Amendment protected local solutions to illegal immigration and I believe English should be America’s official language. How can people best help your campaign? Minnesotans, please remember to vote in this primary election on August 12, 2014! 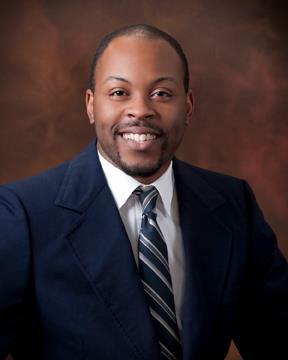 I had the honor and privilege of interviewing Joshua Black, a Republican candidate for Florida House District 68. Below please find the questions I asked Mr. Black followed by his responses, as well as links to where you can connect with Mr. Black on social media. I was born in Saint Louis, Missouri, but have lived in the St Petersburg, Florida area for most of the last six-plus years. I am the second of ten children, all homeschooled. I am recently married, and our first child is expected to take his or her first breath around the time of the August primary! My employment background is mostly small-time jobs, but I excel in customer service-related positions (restaurant server, customer service phone agent, taxi driver, food delivery, etc.). This background serves me well for this position, because I am forced to live on a shoestring, and I therefore have a vested interest in seeing my government do the same. The boundaries of the district are Ulmerton Road on the North, Central Ave on the South, Tampa Bay on the East and either the railroad tracks or 34th Street North, whichever is more west. A wide variety of people live within these boundaries. I meet many of them as customers for my taxi service, and I met many more during my other jobs. Some are rich, some are poor. Some have great jobs, some are on welfare. Some are long-time residents, some are recent immigrants. Some have never received a parking ticket and some are still breaking the law when they ask me for a ride. Diverse is the best word. Democrats make up 39% of the registered voters, Republicans 36%, Independents 24%, smaller parties the remaining 1%. Why do you want to be a Florida State Representative? I’m running for state rep because I’m tired of waiting for the politicians to give me a candidate worth voting for. By the time I get to the polls every cycle, it seems that what differences there are between the candidates are superficial and immaterial, especially to the values that I hold dear. I understand the concept of having a big tent, but why does that mean adopting positions I find reprehensible? Why doesn’t it mean going outside my “base” to explain my positions one on one? The former basically creates a larger Democrat Party with no other options, the latter gives hope for conservative values to benefit a wider swath of the community. Why did you decide to run for state representative this year? I thought there was an opening. The last big name Republican that ran for this seat flubbed badly. I figured that I could do better than that. The Democrat who beat him stands for policies that hurt the poor and middle class, in spite of what he and his party claim. I didn’t think that it would be easy, and I committed last year to seeing it all the way through, no matter what. I didn’t count on a somewhat big name [Bill Young II] (well, it’s his dad’s name) challenging me in the primary, but I think that I can overcome that, because I can’t find any differences between what he pledges to do and what the Democrat incumbent pledges to do. Taxes. I know this sounds like the Republican line, but consider this fact: between the federal, state and local governments, the citizens of Pinellas Park and Saint Petersburg face a tax burden average of $16,000 per person, per year. Whom does this policy harm the most? The poor, because they don’t have any extra with which to lift themselves from their condition after the governments have all taken their cuts. Now, some of this burden is hidden (taxes and regulations on businesses, for example), but, if you ever try to own your own business, or you start earning too many wages to receive tax-funded assistance, you quickly realize that big, overspending government is not your friend. Why is it that small businesses have to bear the full cost of the taxes, but big businesses get tax breaks to relocate? Why aren’t we giving all businesses the same tax break? Do we really care about jobs here in Florida? Cut taxes. As I explained in my previous answer, the money that the governments combine to siphon away from the economy is killing the opportunities for those who don’t start out with much. I intend to roll back those taxes permanently, so that we can realize growth here in Pinellas permanently. People need to be able to keep what they have earned, so that they can choose how to reinvest in the local economy. Lower taxes in Florida mean jobs and growth for Pinellas. I am not a Congressional candidate, but, as a constituent of Florida Congressional District 13, I feel that government has no place in the marketplace. Mandates and taxes only rob the poor of the choices they need to be able to make in order to prosper. The only people who benefit from this system are those who are politically connected and wealthy. There is nothing positive to be found in a system like that. Let’s abolish it and return to the days when a hospital stay cost only about a month’s worth of wages, instead of three full years. Why should people vote for you over your opponent? For the primary: When my opponent was first rumored to be thinking about this position, the people most delighted about this prospect were lobbyists in Tallahassee. That’s a bad sign, if you’re not politically connected and/or wealthy. For the general: The incumbent [Democrat Dwight Dudley] has spent his entire term talking about how the scope of the state government needs to be greater, even though such a case would overburden those who don’t earn much more. It is not compassionate to squeeze family doctors out of the market by expanding Medicaid. It is compassionate to cease confiscating people’s earnings so that they can purchase the necessary nutrition that they need in order to stay healthy. I am very much a constitutional conservative. Moderates are lying when they take the oath of office. I would like them to know that I feel their pain, because I am one of them. I don’t fit the bill of the ordinary politician, because I actually intend to keep my word. I suffer personally under the current policies in effect, so I have a personal stake in changing them. What are your thoughts regarding Common Core? How would you improve the educational system in Florida? Common Core is simply the latest in the government’s efforts to raise our children for us without our approval. This plan has been going on since the creation of government-funded schools in America. Government control or even regulation of education is a terrible idea that has produced ever worsening results, no matter how much money or how many new rules we throw at the system. It doesn’t work, because it can’t. Children don’t share DNA with a government. They share the DNA of their parents. God has given them to parents, who alone are responsible for their growth to maturity. Even in the government-run schools, only students whose parents (biological or adopted) invest in them excel, especially if both parents are still together (just like the DNA in their child). By siphoning away parents’ and grandparents’ earnings to build a machine that doesn’t work, the government is hindering parents from the work they could do to help their own children succeed. What’s worse is that people who push these programs know the facts that I just stated. First, 99% of Congress should resign. They do not have any intention of upholding the Constitution, so they need to get out of the way of people who do. Second, when that Congress is inaugurated, they should revoke the contract with the IRS that allows this private organization to act on behalf of the US Treasury and Congress (a direct contradiction of the separation of powers intended by the Constitution). Third, they should submit a Constitutional Amendment to the States for ratification that specifically repeals the 16th Amendment. Fourth, they should impeach the current President and all of his appointees, executive and judicial. That would be a good start. Do you support the Second Amendment? Why or why not? The Second Amendment to the US Constitution was written in response to the act of oppression by the government of Great Britain whereby the inhabitants of the colonies were prohibited from obtaining the latest weaponry that was available to the British aggressors. This amendment was written to ensure that, should the newly formed federal government become similarly oppressive, the People would have sufficient means of overcoming its evil designs. Knowing how wicked those in government can become, I wholeheartedly support this amendment. People can help by reading my website, www.JoshuaBlack2014.com, and finding out where I actually stand on the issues. Then, speak to your neighbors to see where they stand and point a few in the right direction. I think that one on one interaction will win this campaign because I won’t be receiving big money from outside interests. Speaking of money, you can donate online at the website, or you can donate by mail to the address on the Contact Page. This Sunday, May 18, I will be having a Shoestring Banquet ($10/plate) at Freedom Lake Park in Pinellas Park (where US 19 meets 49th Street North), between 1:30 and 4PM. So come on by and join us! Floridians, please vote in this primary election on August 26, 2014! Debate: What Should Be Done About ISIS?